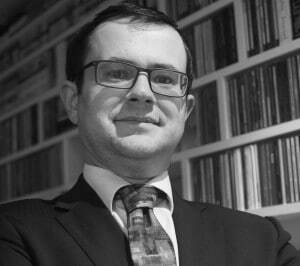 David Henig is Director of the UK Trade Policy Project. A leading expert on the development of UK Trade Policy post Brexit, in 2017 he co-founded the UK Trade Forum, which brings together UK trade policy experts to debate and analyse these issues. He joined ECIPE in 2018 having worked on trade and investment issues for the UK Government for a number of years. He was heavily engaged on TTIP throughout the three and a half years of negotiations, working with both sets of negotiators to develop ways forward particularly on regulatory coherence, TBT, and sustainable development. He also travelled extensively through the EU making the case for TTIP with Member State Governments and stakeholders. After the UK referendum vote he helped establish the new Department for International Trade, engaging in many of the UK’s first working groups with non-EU countries, and setting out options for engagement with the US. Prior to TTIP he was involved with investment policy, the OECD and international rules based system, and business policy towards China. David started his career before Government in consulting and business development, having graduated from Oxford University. He is bringing all of this experience together in a project examining and evaluating the UK’s performance in preparing for and delivering effective trade policy.